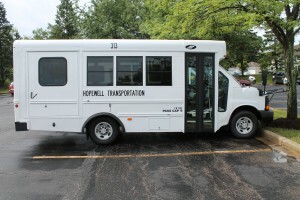 Hopewell Services will notify parents of a daily pick-up and drop-off time for a student. 1. 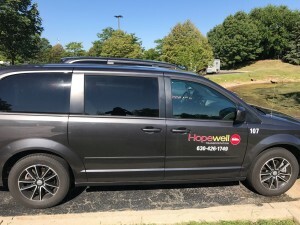 When the driver pulls up to the student’s home, the driver will wait 3 minutes after the student’s assigned pick up time. 2. After a 3 minute wait, the driver will leave and continue on their route. 3. Attendance will be kept for all absences and “no shows” and shared with appropriate schools or internships. 1. Students will only be dropped off at location designated by the district. If you know your child will not be needing transportation, please call the office at 815-463-9092 to inform us of your child’s absence. When you call, please tell us if your child will not need transportation in the AM, PM or all day.